A wonderfully intricate spiral staircase cupcake stand that's sure to impress. Set the table and wow your guests with the spiral staircase to cake heaven as the showstopping centre piece. 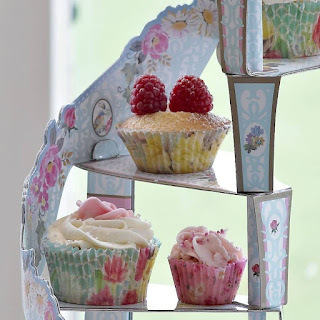 Perfect for weddings, parties and afternoon tea. 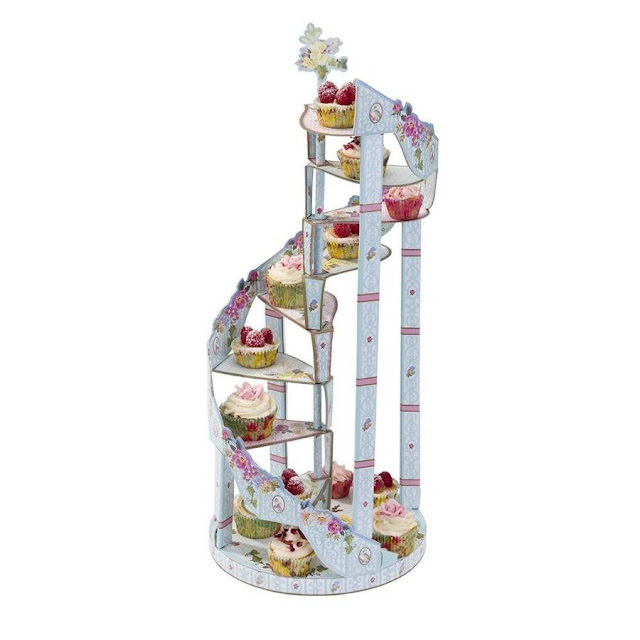 The Spiral Cupcake card stand will hold a cupcake on each of the spiraling steps with space at the bottom for a further cluster of cupcakes. 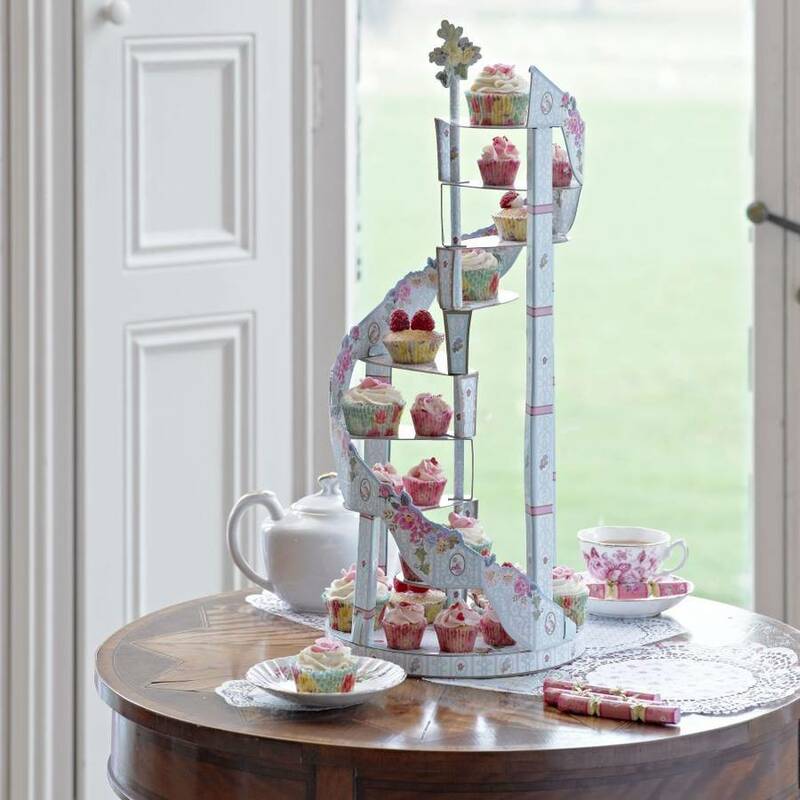 This beautiful spiral cupcake and canape stand is a must have for weddings, romantic celebrations and indulgent Afternoon Teas! The card tiers give plenty of room to show off your cupcakes, canapes and delicious cream tea's and pastries. Just wait for all those oohs and ahhs from your guests!